Sydney’s renowned retail hub, Market City, has just transformed their food court to a more variety dining area called 1909 Dining Precinct on LV3, featuring a stellar line-up of eight high-end Asian eateries. Open for lunch and dinner, 10am until LATE, 7 days a week (the cheaper all-new food options are now moved to LV1). 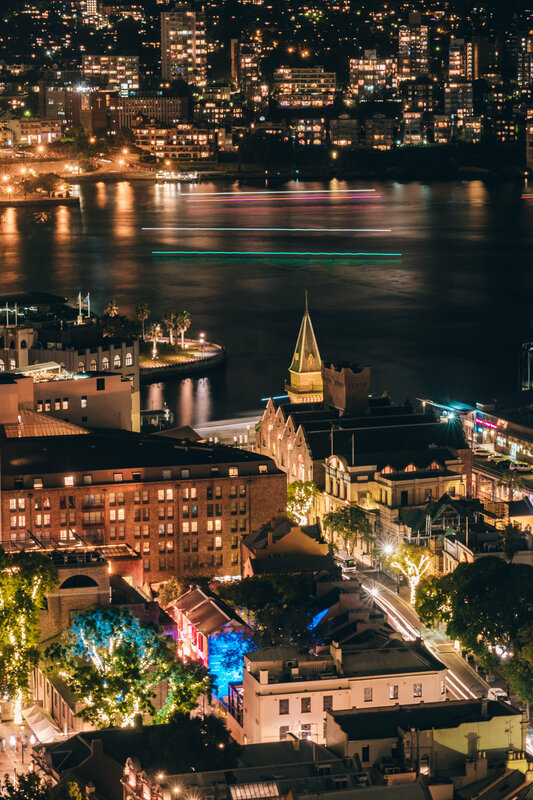 From $20pp to $100pp, today I’m going to take you to a little tour between 2 deluxe Chinese restaurants so you can choose how you celebrate this 2019 Chinese New Year in style. In case you wonder what are the 8 restaurants, here is the list. To indulge yourself and your love ones, let me start with the Dolar Shop. It is one of the most well known Chinese Hot Pot Restaurants, and No.1 brand specialising in individual pots since 2004. The Winner of the 2016 Restaurant of the Year in China, and placed in America’s Top 5 trendsetting Chinese Restaurants. Dolar Shop serves high quality fresh food to the table for you to place in your pot. Chloe and I have the completely different taste when it comes to broths. For me I prefer super spicy hence I picked the Szechuan Hot & Spicy Broth (Chilli bean paste, dry chilli, beef tallow, Szechuan peppercorns, green peppercorns, green onion, ginger, garlic, crystal sugar and the house-made signature chilli oil) while Chloe had the Pork Leg Bone Broth (non-spicy pork let bone, onion, bamboo shoot and bean curd strips). We loved how premium everything was. It actually tasted like pure luxury. For the proteins we ordered Calamari, Seafood Platter, M9+ Wagyu Knuckle, Grand Cru M6+ Boneless Short Ribs and a Premium Selected Wagyu Beef Platter. And then we chose Veggie Basket and Mixed Mushroom Basket to eat alongside. These foods would be enough for 3-4ppl and would cost no more than 100pp. Alcoholic drinks are available tho I didn’t order any. I guess that would add up the price a bit but that’s how we should be celebrating this special occasion hey. I was super happy with what came out. Not to mention the comprehensive sauce bar area where you can mix and match your own sauce, plus there are some free entrees/side dishes for you to eat unlimitedly. 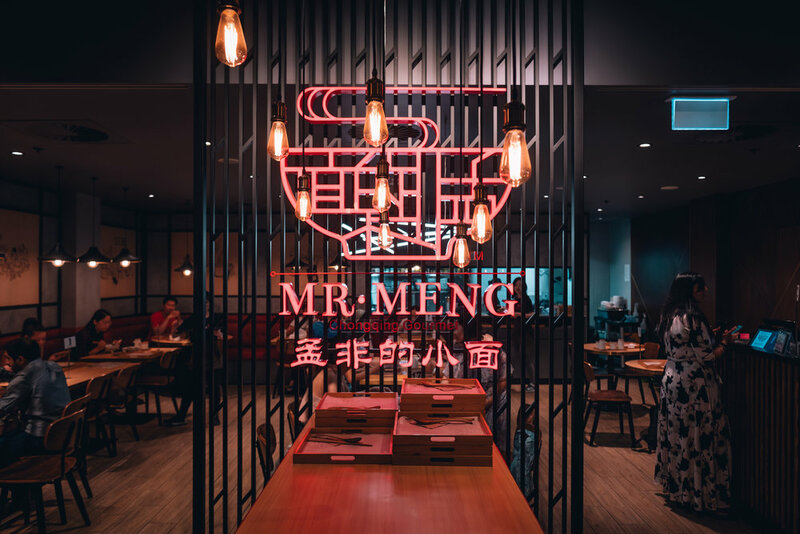 If you’re looking for a quicker dish that will add some spice to your life, then Mr Meng is the perfect match for you. Serving delicious lunch and dinner dishes including wontons in spicy soup and his signature Chongqing spicy noodles with tongue numbing Szechuan peppercorns. The best part is that most dishes are priced between $6-$15.90 so with entree, main, dessert and a drink it would be only $20-25 per person. (15.) Hot potato noodle with pork ribs. (20.) Tofu pudding with rose petal jam and brown sugar syrup. (25.) Chicken feet with picked peppers. (44.) Kung Pao chicken with rice, (53.) Mandarin soda. I have to say that I was not disappointed at all. In fact I enjoyed the spicy hot potato noodle A LOT. Part of it was because everything was yummy and spicy. This might be a caution to those who don’t eat spicy but you can always ask the friendly staffs for there are tons of other options.